The Gigantopithecus is a genus of extinct apes and is the largest of all the primates (including all species of monkeys, gorillas, chimpanzees, orang-utans, and apes) that ever walked the earth. It lived during the Miocene to Pleistocene Era, and a very few fossils of the animal could be recovered till date and is primarily known from teeth and jawbones. 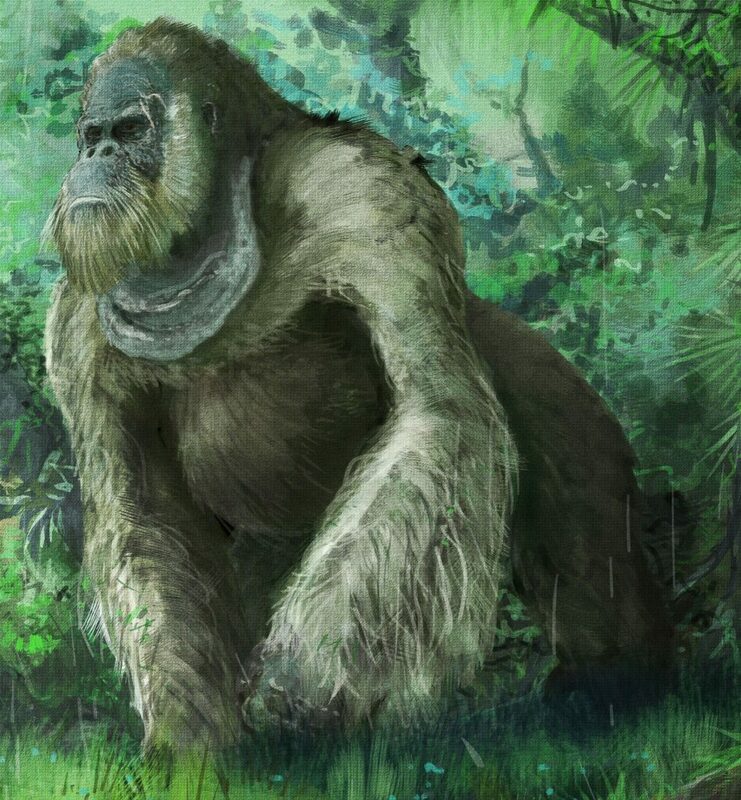 The genus included three species viz., Gigantopithecus blacki, Gigantopithecus bilaspurensis, and Gigantopithecus giganteus, with the first one being the type species. Scientists are almost in complete darkness about this mysterious ape whose existence came into light for the first time in 1935. The discovery was dramatic as a German paleontologist Gustav von Koenigswald came across the molars of the giant animal in an apothecary store in China. The teeth were labeled as ‘dragon teeth’ and were stored with the belief that they can heal various diseases, as was believed by the traditional Chinese medicine which practitioners. Since then, this bit was the only evidence that was found as the evidence of its existence. 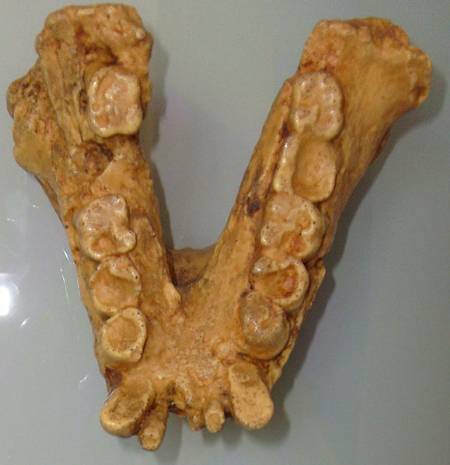 While in the latter years, the researchers came across many such teeth, as also, parts of its jaws in various regions in the south of China, Vietnam, as also in India. The scientists, however, found it even more mysterious that in none of these places could they find a single specimen of a complete skull nor a single fossilized postcranial skeleton of the enormous creature. Researchers inferred that the Gigantopithecuswalked the planet at least one million years ago in and around Southeast Asia, and went extinct around 100,000 years back. Further morphological studies have also suggested that their closest living relative is the present day orangutan. Considering the level of intelligence of these modern-day primates, researchers believe that these mammoth creatures were also fairly intelligent animals with a large-size brain. Because very few fossils of the animal could be recovered, very little could be evidently concluded about its physical characteristics. All the data that could be retrieved were from the relative study based on its excavated jawbones and teeth. Paleontologists calculated its size to be around ten feet with a weight of about 1100 pounds and having enormous strength. 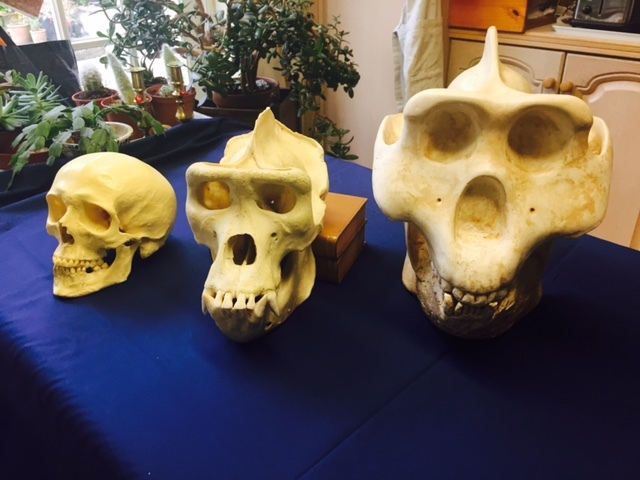 Studying the large size of the molars, based on the ratio of carbon isotopes in the tooth enamel they concluded that these primates largely depended on fruits, with leaves and roots in the mix. However, some biologists argue that they lived solely on highly fibrous foods, especially bamboo. 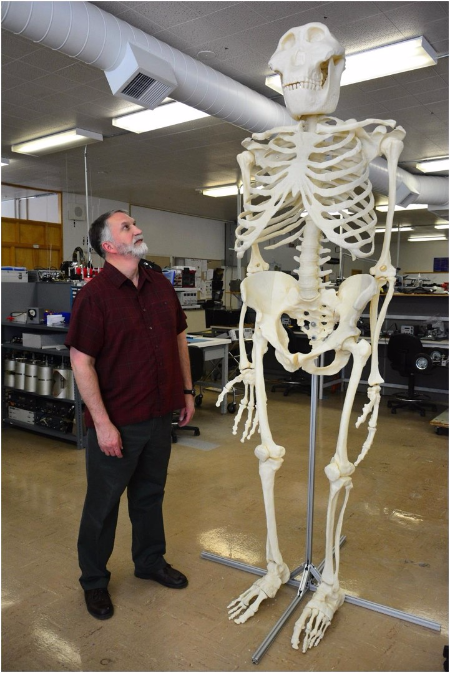 DNA studies of the Gigantopithecus have shown that the African primates such as chimps are more closely related to the Homo sapien (humans) than the Gigantopithecus species G. blacki. 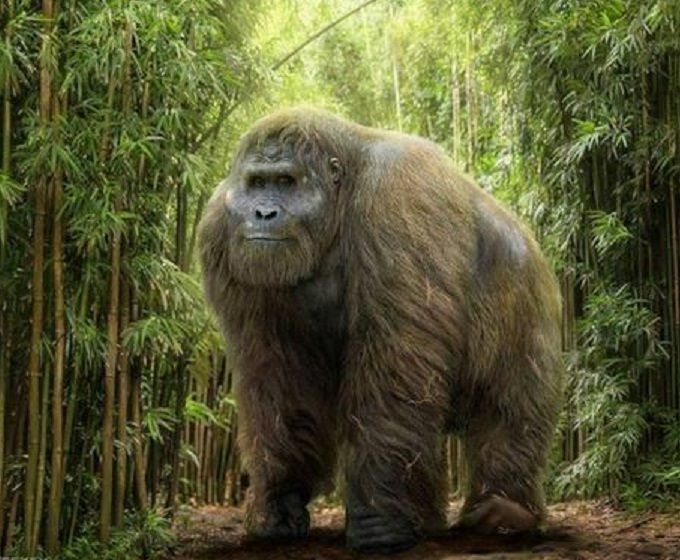 There have been debates and speculations with some people claiming that the giant creature is still alive, and that which is known as yeti, said to be living in and around the Himalayan locations in Tibet, India, and Nepal is actually the Gigantopithecus. 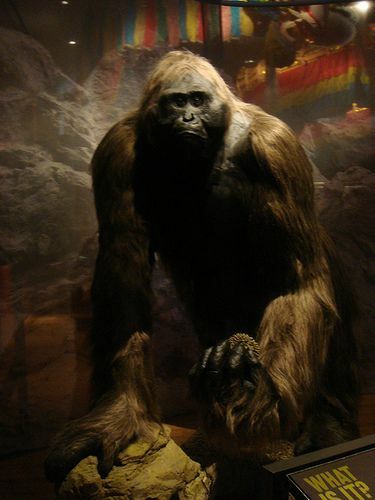 Some people believe that the Gigantopithecus is not extinct, but crossed into the continent of North America through the Bering Land Bridge, which gave birth to the legend of the ‘Sasquatch’. It is even argued that the mysterious ‘Bigfoot’ is also nothing but the same gigantic ape with some people even claiming such sightings. 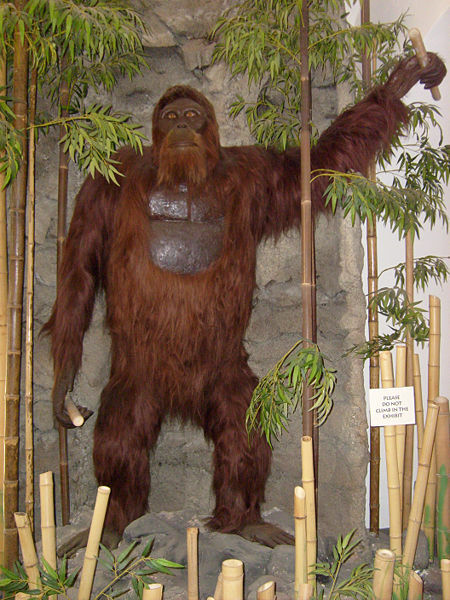 It is believed that the lack of skeletal remains of the Gigantopithecus is because of the fact that the ancient Chinese people extensively collected what they thought were ‘dragon bones’ only to use them in traditional medicine. Published on March 28th 2019 by admin under Mammals. Article was last reviewed on 28th March 2019.